Take a little trip south to Rhode Island and enjoy the summer vacation you know you deserve. 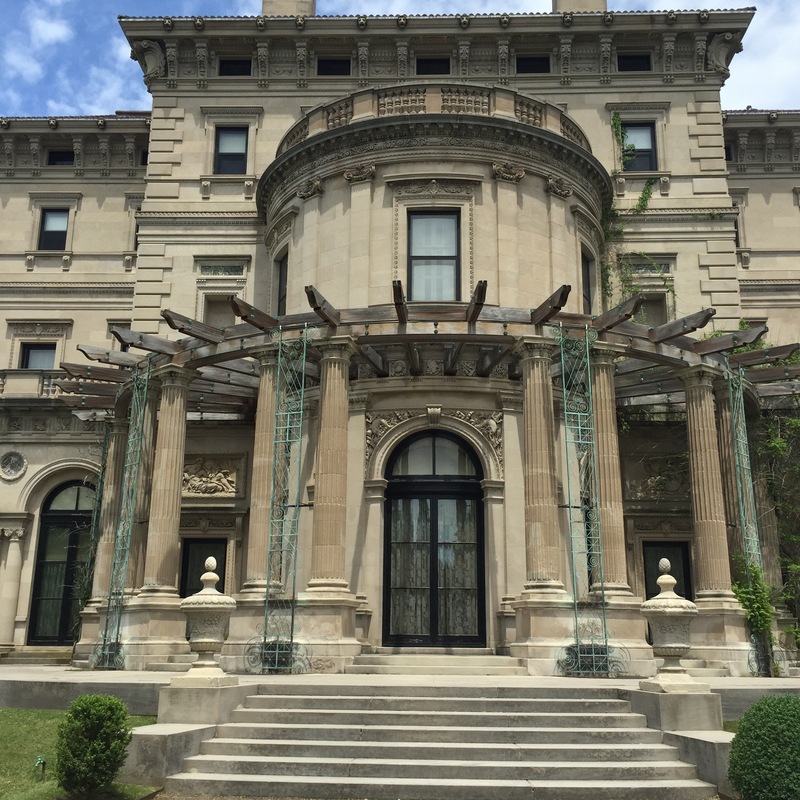 Check out the RISD Museum in Providence or the shopping streets in Newport. Or check out the spots I went to during my trip last week. The capital of Rhode Island has a lot of exciting stuff. The Brown and RISD campuses are great to walk around in. Stop by Thayer Street if you’re in the area. It has a couple clothes stores, really good falafel, pizza and sushi. If you’re looking to do something a little more cultural, head to the RISD Museum–which has quite a good collection. Or check out Prospect Park, for a nice nature-filled day. 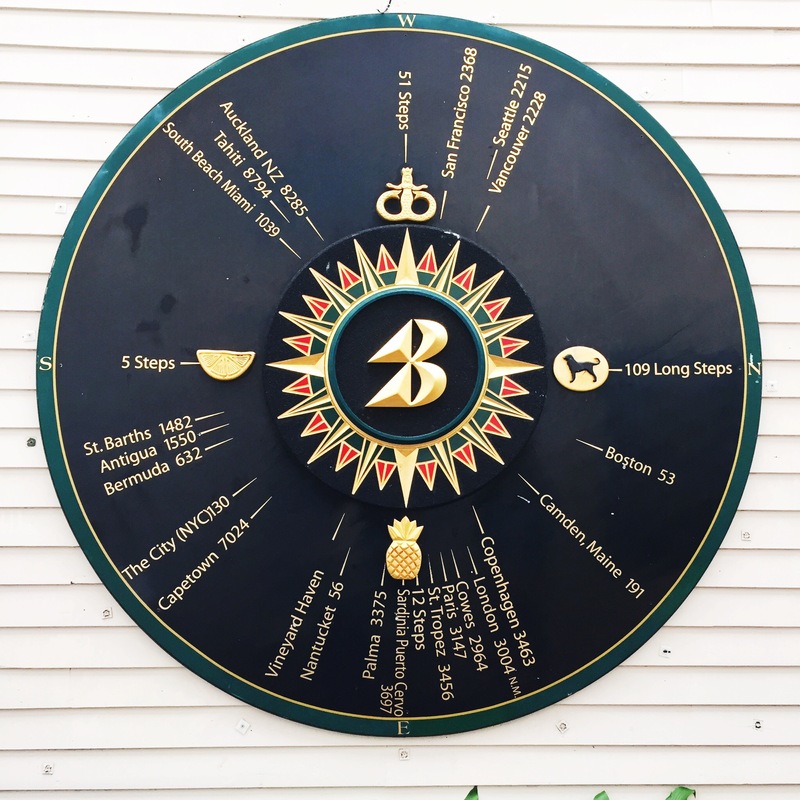 The two days I spent in Providence where centered around food, of course. For dinner on my first night, my friend’s family took me to Al Forno–a spectacular Italian restaurant. Their specialty is the Dirty Steak with Hot Fanny Sauce. The steak is thinly cut and cooked medium rare, topped with an incredible sauce and big dollop of mash potato. But make sure to ask for it, because it’s not on their menu. 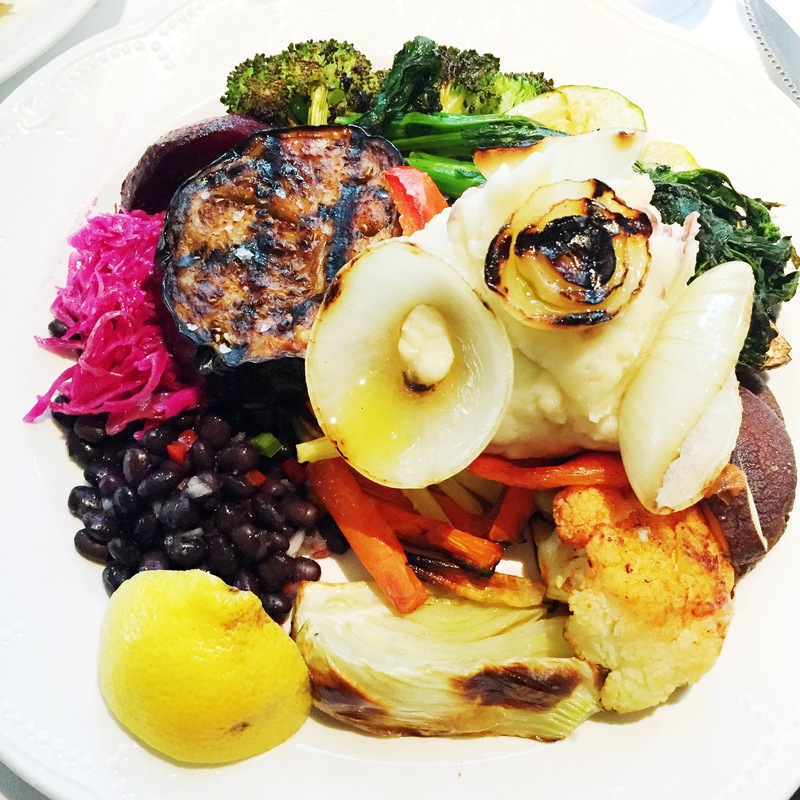 If you’re looking for something a little lighter but with just as much flavor, get the roasted veggies! For lunch with a great view of the city, my friend and I went to the Rooftop at ProvidenceG. This place offers a great variety of tapas, pizzas and creative cocktails. While the view it great in the afternoon, I suggest going at night–as a sort of pre-game dinner with a group of friends. Also make sure to get one of the pizzas! I had the artichoke chicken, and it was fantastic. Newport is a great little beach town just 45 minutes away from Providence. It’s also a great place for a day-trip. 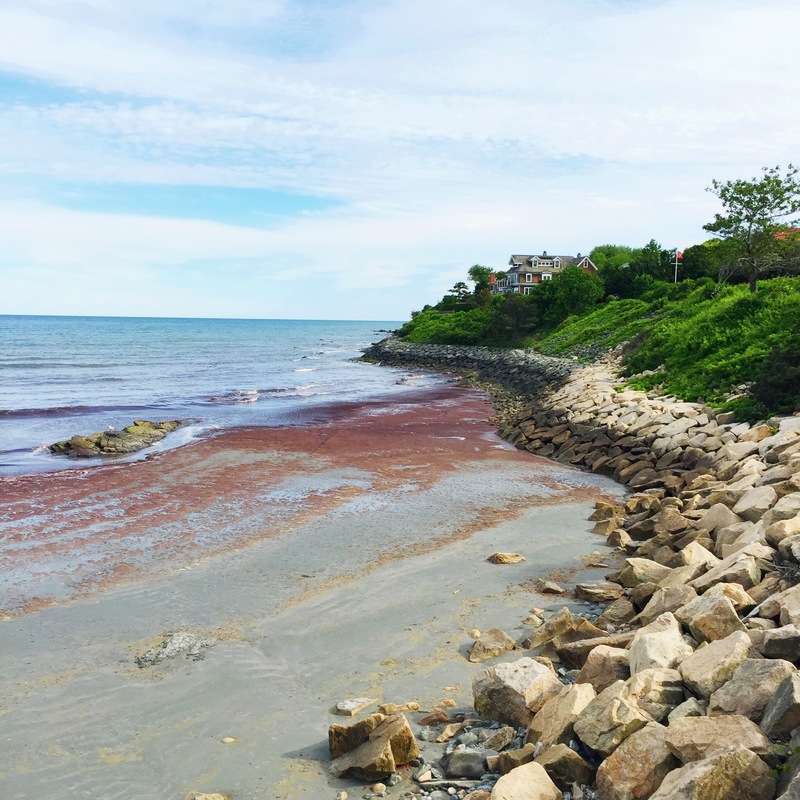 If you’re looking for a nature walk, head to the Cliff Walk. There’s a lot of parking near the beach, so you can head to the sand and the ocean first and enjoy a scenic walk later. There are also a ton of famous mansions you can visit. Most of them reside on Bellevue Avenue. Drive around and see which one you’d like to visit (both the grounds and the inside). Make sure you look for the houses with ‘Historic Site’ signs and open to the public. 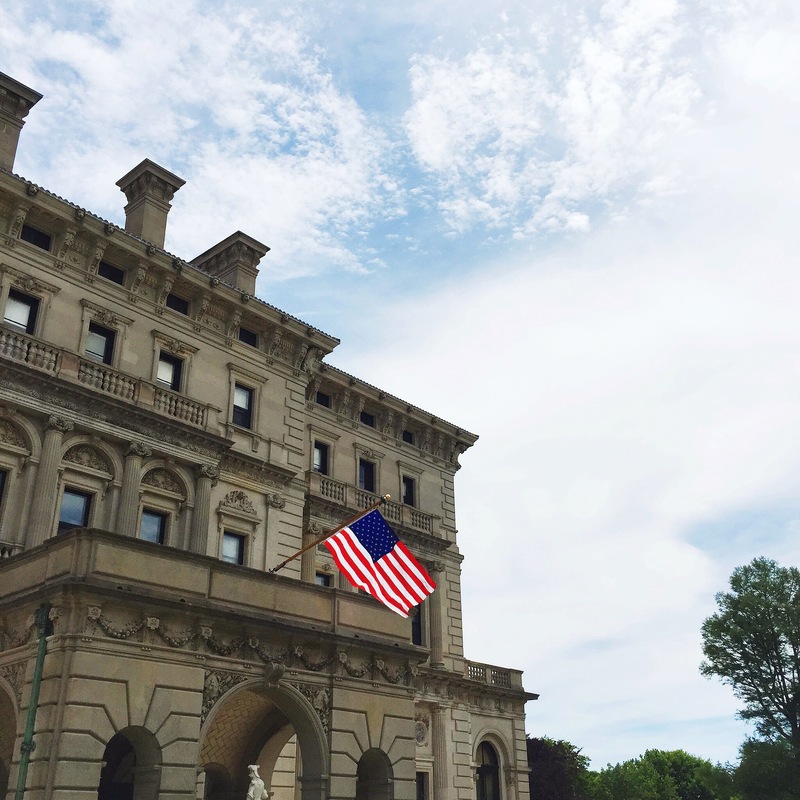 One of the most visited is The Breakers (pictured below). It’s surrounded by water and beautiful gardens with unique furniture inside. If you’re not looking to go inside any of them, make sure to just drive around and see them from the outside–they are unbelievable. Another historic site to visit is the Touro Synagogue-America’s oldest synagogue! Unfortunately, their hours of operation are not very flexible. Their usually open from 11:30 am to 2:30pm, but make sure to check their website before going as they close for the Jewish holidays. Shopping at Newport is wonderful, especially for those looking for something preppy and summer-ry. Head to the Black Dog store for some very cute and comfortable sweaters, pants, bags and anything you’d like with a silhouetted dog. 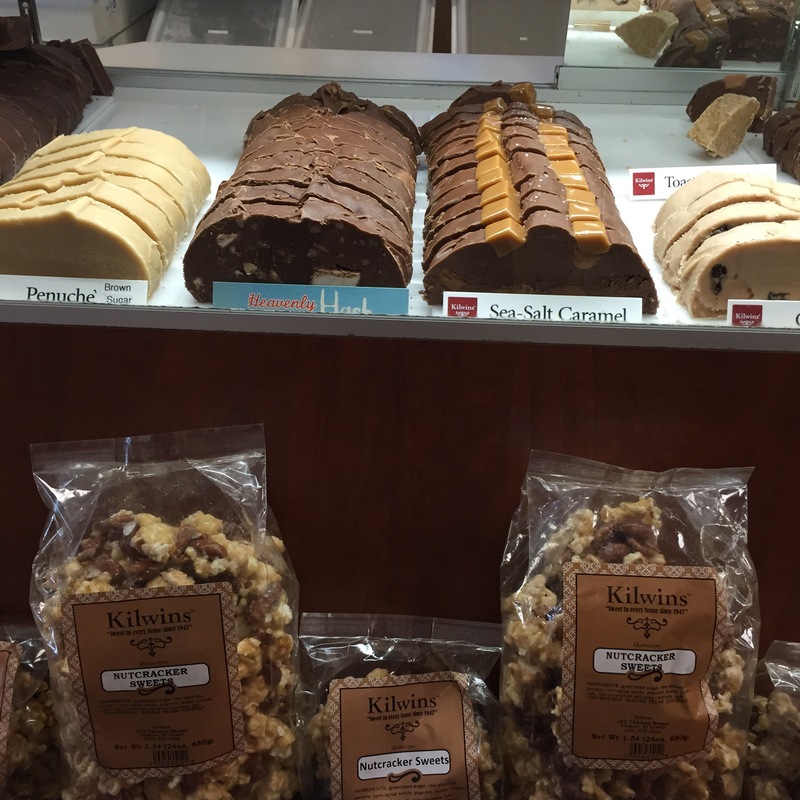 There’s also a couple of fudge places, soap and beauty stores and much to window shop. 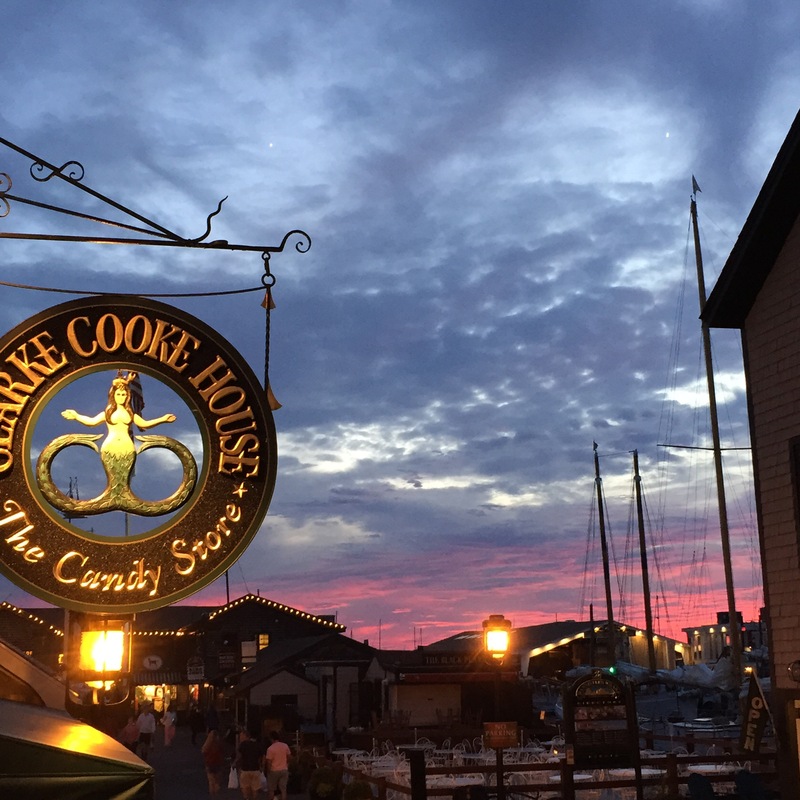 For dinner, check out the Clarke Cook House for some incredibly fresh oysters and a great view of the sunset. 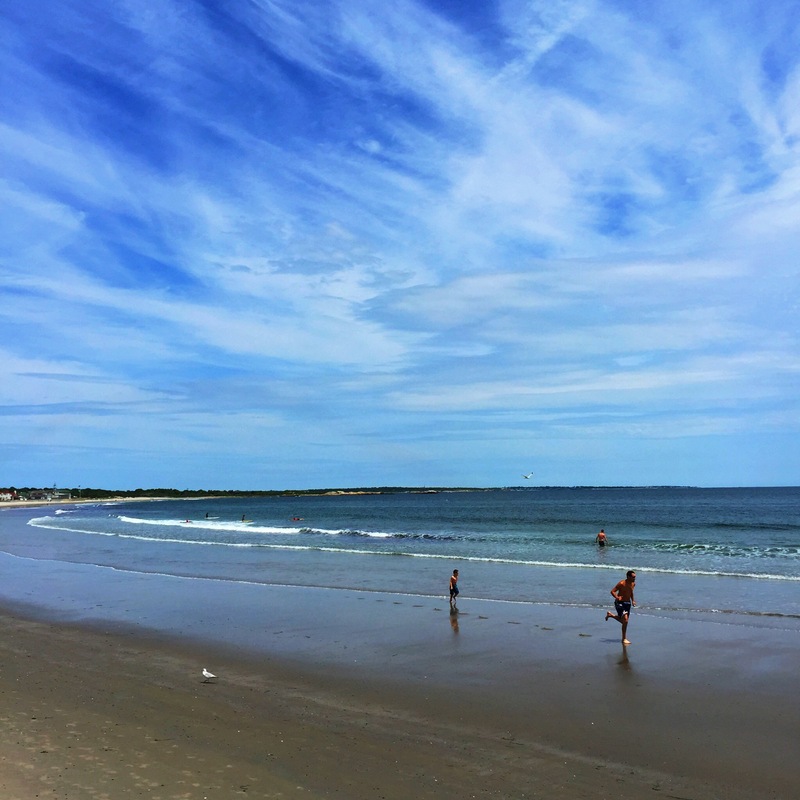 Looking to get even more away from the busy and loud city, Narragansett is the place to go. It’s not much of a tourist attraction, so chances are you’ll have a lot of room on the beach. If you’re looking for a healthy lunch and a good cocktail, Two Ten Oyster Bar & Grill is pretty terrific. They have an outside patio with live music and a view of the docks from inside the restaurant. After lunch, my friend and I headed to what I like to call “The Most Peaceful Place on Earth.” It’s real name is Hazard Rock–where there are flat rocks and absolutely no one around. Grab you’re yoga mat and a sandwich, because you’re going to want to stay there for a while. Near Narragansett there is a cute little shopping street (on Main St). There’s a yogi shop, glass-blowing workshop and store, a cool QR Code wall and much more. Plus the locals get around in the evening to sell some home-cooked baked-goods and fresh lemonade. About an hour from Narragansett also lies a wonderful hotel and restaurant called the Ocean House. The Hotel houses two different restaurants. One on the deck, which features a set menu at around $80 per person. The other is A-La-Carte, less expensive but without the ocean view. 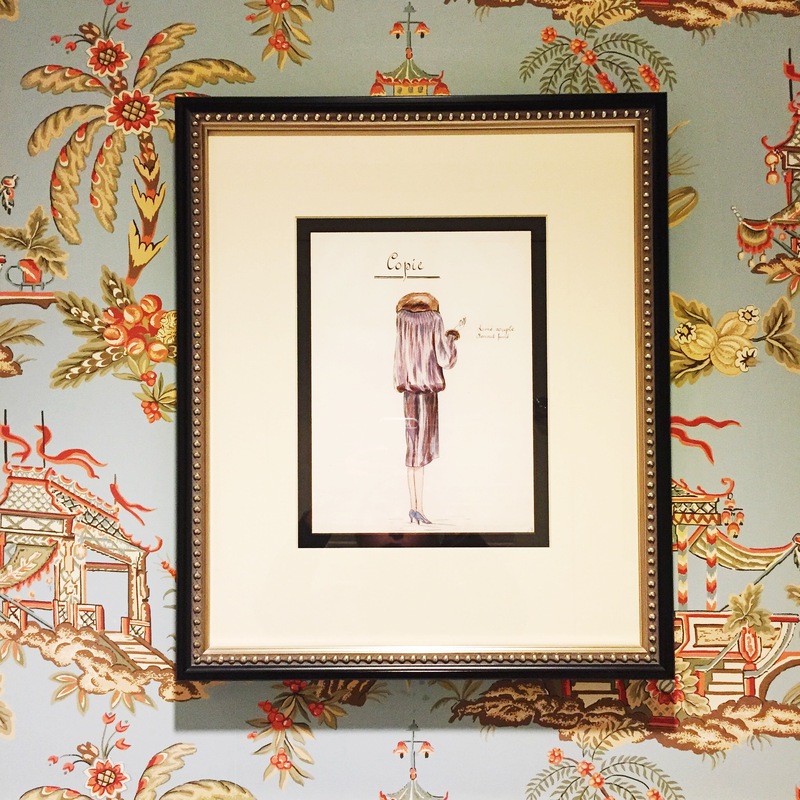 Their bathrooms are just as beautiful as the rest of the hotel. Plus from the left side you can spot Taylor Swift’s beach house–or rather, beach mansion.